When the Massachusetts Clean Energy Center released a study last fall examining potential locations for water-technology demonstration centers in Massachusetts — thus raising the Bay State’s profile and potential in the increasingly critical field of water supply, treatment, and sustainability — UMass Amherst was a natural choice, because it’s been making connections between water research and industry for some time. A host of key stakeholders believe it can become even more so in the decades to come. Talk to experts in the broad realm of water technology innovation, and it doesn’t take long for Israel to come up, at least in terms of government investment. It’s not exactly by choice. But several entities in the Bay State — from the university to the Massachusetts Clean Energy Center (MassCEC) to a host of industry players, both established companies and startups — are intrigued by the potential to make Massachusetts an international leader in water innovation as well. And they’ve got plenty of progress to build on already. “It’s obviously a big area — there’s a water crisis around the country, around the world, and it will be more critical as the years go on, so there’s a need to innovate ways to treat water, both wastewater and surface water,” Walker told BusinessWest. UMass could be that site, he said. 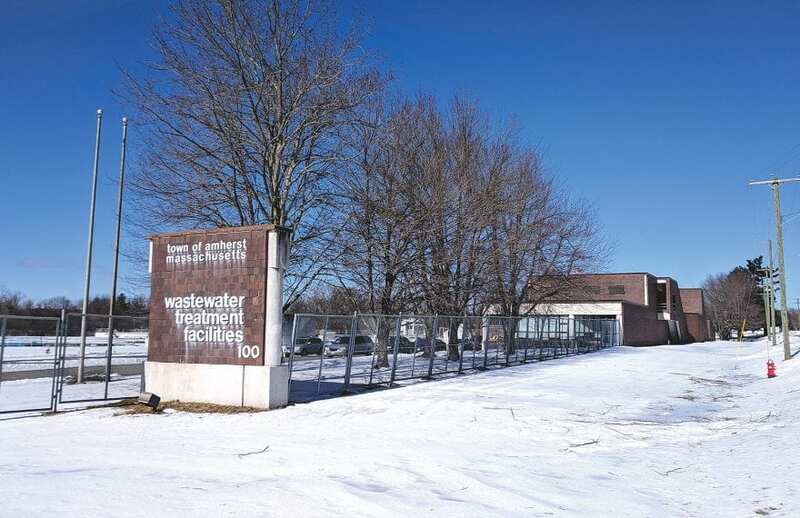 Loren Walker says the Amherst Wastewater Treatment plant provides UMass researchers and partnering companies a flow of wastewater on which to test new technologies. Last fall, MassCEC released a comprehensive study that evaluates the technical and financial feasibility of three potential water-technology demonstration centers across Massachusetts, including one at UMass Amherst. Such centers, proponents say, could offer a test bed to pilot new water technologies and position Massachusetts as a global leader in the water-innovation and energy-efficiency sector, providing significant business and employment opportunities. Rick Sullivan, president of the Western Mass. Economic Development Council, said one of the EDC’s goals is to help identify and develop sectors where Massachusetts could become a center of excellence. Back when he served as secretary of Energy and Environmental Affairs under then-Gov. Deval Patrick, he and the governor traveled to several locations, including Israel, to learn about water innovation, recognizing this was an issue of growing international concern. UMass Amherst has long been involved in water research. Then, in 2016, a $4.1 million grant from the U.S. Environmental Protection Agency — on the heels of a state earmark of $1.5 million from the state Department of Environmental Protection for water innovation — helped launch one of only two national research centers (the other is in Boulder, Colo.) focused on testing and demonstrating cutting-edge technologies for drinking-water systems. All things considered, Sullivan said, UMass Amherst is an ideal spot to develop a demonstration center. A conference last October, called “Innovations and Opportunities in Water Technologies,” brought together the business and startup community, area municipal leaders who spoke about challenges to current water and wastewater systems, and UMass experts who detailed some of the cutting-edge work already being done on campus. “At the end of the day, all of those panels and all the discussion and information kind of led back to reinforcing the idea that this is a really smart investment for the Commonwealth,” Sullivan said, noting that the investment to create the three centers was approved as part of the state’s 2014 environmental bond bill, but has not yet been appropriated in the state budget. The MassCEC study analyzed the technical and financial feasibility of three potential water-technology demonstration centers around the state: the so-called Wastewater Pilot Plant at UMass Amherst, the Massachusetts Alternative Septic System Test Center in Barnstable, and the Massachusetts Water Resources Authority’s Deer Island Treatment Plant in Boston Harbor. Establishing this network could create jobs, lower energy costs, and optimize municipal operations in addition to supporting water-technology research, the study noted. A test-bed network could serve existing Massachusetts-based water technology companies, help attract new companies to the Commonwealth, advance new solutions to both local and global water challenges, and provide a strong foundation for innovation. 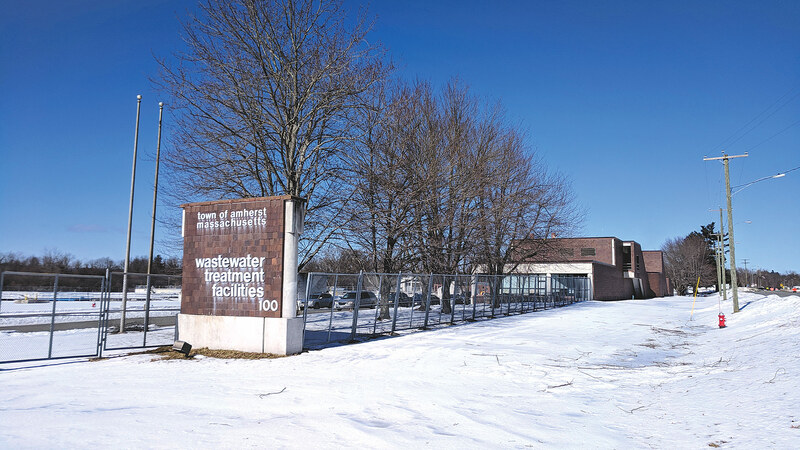 Key to UMass Amherst’s feasibility as a demonstration center is the fact that it already acts as a pilot site for industry — albeit on a limited basis — because of its access to flowing streams of municipal wastewater at the Amherst Wastewater Treatment Plant, located next to the university’s Water Energy Technology (WET) Center. “You need flowing streams of municipal wastewater and surface water; you need to have access to this to test your filtration membrane or electrochemical treatment technologies, whatever they may be,” Walker said. The issue, he said, is size and scale. Rick Sullivan says Massachusetts can be a major player in the water cluster and, in many ways, already is. As an example of the kind of research being done there, Walker brought up ultrafiltration membranes — nanoscale membranes that can remove contaminants when water is forced through. One problem is that the membranes tend to get fouled up by materials in the water and eventually don’t work so well, and have to be replaced regularly, which is costly. Then there are startups like Aclarity, whose CEO, Julie Bliss Mullen, presented at the fall conference. Her company specializes in electrochemical advanced oxidation, which is essentially using electricity to decontaminate water. “Then there are companies developing their own technologies we don’t even know about,” Walker said. “When they get to the stage where they’ve tested it at the lab scale and they know it works at that scale, they still can’t sell it; they can’t turn it into a technology and market it to anyone until they’ve tested it at the municipal scale, and that’s where a facility like the WET Center comes in. 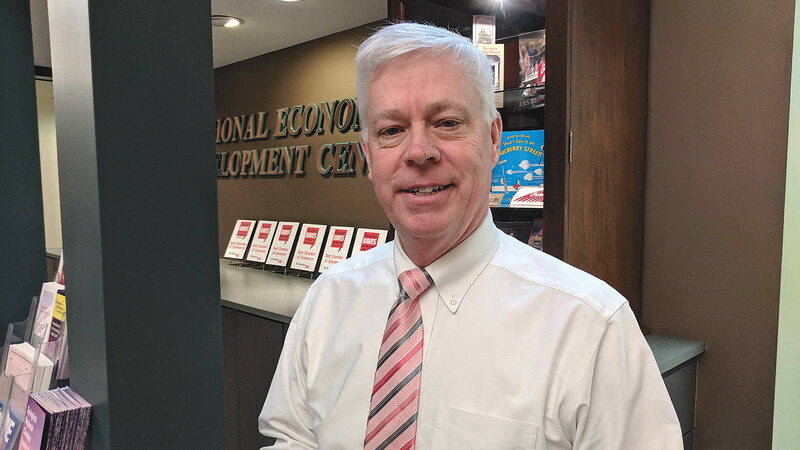 One end result of all this innovation and connection, Sullivan said, is a real economic-development boost in a field that promises to become more critical over the next several decades. “Companies these days are looking for direct ties to the university for two reasons: one, the students are graduating and they need the talent, and they also want to tie back to the research and development that’s occurring with the grad students and professors and other staff, so they can stay on the cutting edge,” he told BusinessWest. The test-bed potential, to have a site big enough to accommodate real-life testing for more companies, only enhances that potential, he added, noting that it’s only one way UMass is leading the way in connecting scientific research with real economic development, with the core facilities at the Institute for Applied Life Sciences being another. Walker was quick to add that the state and region have been taking the water-technology issue seriously for some time. For example, the New England Water Innovation Network is a nonprofit trade group that examines the water cluster in Massachusetts — companies developing water-purification technologies, university researchers at UMass and other universities, and industry — and connects those dots to help foster collaboration and innovation that will develop technologies, attract companies interested in developing these technologies, and hopefully create more jobs and an economic boost, all while attacking a major global problem. While UMass is ahead of the curve, Walker noted, this isn’t an unknown area for innovation potential, and other states, like Georgia, are currently looking to develop similar pilot-scale and commercial-scale projects. David Reckhow is one of the more prominent of that group. The director of the Water Innovation Network for Sustainable Small Systems at UMass Amherst, he has traveled to Israel, Singapore, and other places to learn about global water needs and the innovation occurring worldwide to meet those needs. The intervening years have only made it more of one. And UMass Amherst has the potential, Walker said, to be a national center for water innovation that will benefit the region, but also attract players from across the U.S., both industry and academic collaborators. As things have advanced in technology, the web, connectivity, and social media, we have created an easy avenue to our data. Our exposure to hacking is one port away on your firewall, and in some cases, someone may have already breached that firewall. Security practices in the past do not hold up to complex hacking attacks that are constantly barraging the internet. It used to be adequate to have complex passwords and updated computers with all the patches and security updates. The hackers have concentrated on the lowest-cost and easiest way to infect your computers. In most cases, it’s a phishing attack. Phishing attacks are e-mails disguised as a reputable company with a clickable link or some embedded malware. The cyberthieves send out thousands of these attacks and lie in wait until some innocent victim opens the e-mail and clicks on the link or attachment. The malicious robot servers automatically churn out these e-mails, and before they know it, their device and network are infected. Many of these attacks are designed to install ransomware or access all your critical data. The ransomware will lock down the machine and encrypt your data. They will contact you and request bitcoin to then release your data. Some hackers will pull your data, including contacts and personal information, and post or sell your data to the dark web. Hacking has evolved greatly within the past few years. In the early days, we would receive a letter from the Nigerian prince, looking to transfer $7 million to you just for good measure. Modern-day hacks and phishing e-mails are very complex; they quite often mimic FedEx, UPS, and customer e-mails so you are more prone to click on the bait. The most successful program to prevent phishing attacks is training. There are several services that offer security-awareness training (SAT). When you sign up for this type of training, you will be taught what to look for in phishing e-mails and how to respond. 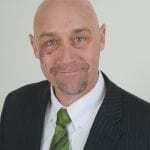 The SAT will also include a ‘fake attack’ so you can measure the results at your business and use it as a teaching aid to prevent against future attacks. Businesses need to embrace a cybersecurity strategy. There are three categories to cybersecurity: Protect, detect, and respond. Ask yourself, do you lock your car? Do you lock your front door? Think of your connection (router) as your front door to the web. Securing this device is the first step in preventing hackers from getting in. Not only should you have the best-in-class router, you also need to maintain the patches and security updates, so the unit does not fall to the constant attacks from the internet. Beyond the firewall, you need to secure your ethernet switches and your wireless access points. Access points are an easy target for rogue hackers; they often log into a weakly secured access point, and once they have entered, they can navigate your entire network. Most often, malicious attacks are delivered via e-mail. Logically, it is critical to have very updated anti-spam software, as well as antivirus and malware protection. It is also critical to have current backups; best practices recommend a full on-site backup with a virtual cloud backup. It is crucial to know that your backups are tested; if you are backing up corrupted data, then your backups are useless. Early detection can save lots of time and potential loss of data. Most breaches are not detected for more than 100 days after the breach. Once you detect a breach, you can contain and react to that breach. This begs the obvious question: how can you detect a breach? There are several ways to go about detecting a breach within your system. First is to engage in a dark-web monitoring service. These services have ‘crawlers’ that are constantly scanning the dark web. They will scan your company and your personal information. When they find your data on the dark web, the service will alert you and let you know what that information is and where it came from, but don’t get your hopes up; you cannot remove your information once it is on the dark web. For instance, LinkedIn was breached more than 10 years ago, and if you had a LinkedIn account in that time frame, your username and password are available on the dark web. It’s not a matter of if, but when you are a victim of a cyberattack. Rapid response to a breach or infection is critical, and the faster you respond, the faster it will reduce your exposure. In some cases, you will need a support team to assist in cleansing machines, loading backups, and scanning your network. The proactive approach is to engage a security operations center. This is a team of security professionals that will monitor your network and device. In the case of an infection or breach, the team will jump into recovery mode and secure your data. Above all, it’s important to stress that cybersecurity is more of a culture than a service. 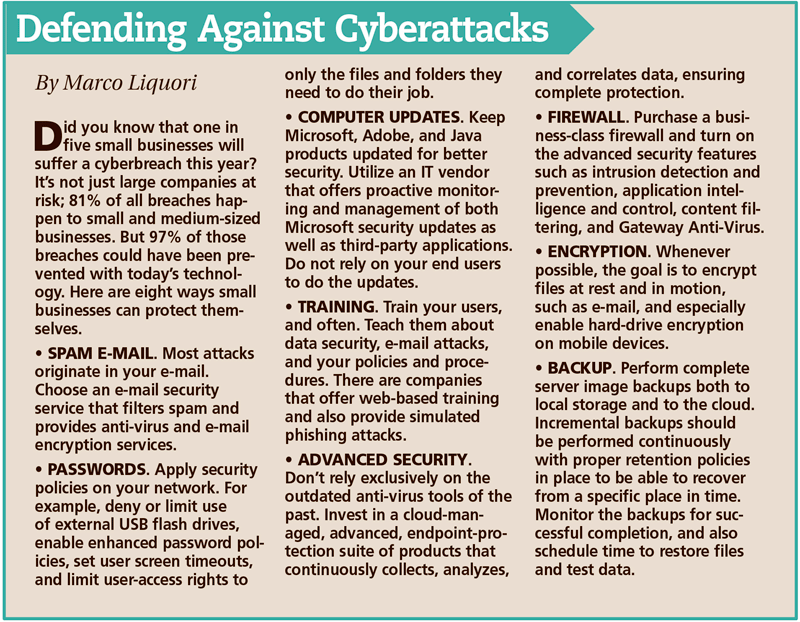 Cyberattacks cannot be prevented, but they can be avoided by having the proper procedures and training. Cybersecurity requires awareness and the ability to eliminate your personal and company exposure. All the tools in the world won’t prevent someone from clicking on malware in an e-mail. It is important for a company to have a stable cybersecurity policy and program in place. 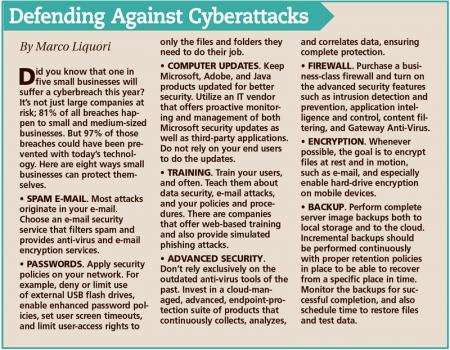 Don’t wait until you are hacked to implement a cybersecurity prevention and awareness program. Sean Hogan is president of Hogan Technology, a full-service managed IT, structured cabling, and cloud-services provider; (413) 779-0079. A team from Feeding Hills gets ready to put their robot to the test. Seeing a group of middle-schoolers design, build, and program robots that perform specific, detailed tasks on cue is an impressive sight. But the impact of the FIRST LEGO League, which boasts teams in numerous schools throughout Western Mass., goes far beyond engineering training. It’s also teaching young people communication skills, teamwork, and confidence — all key traits to take into whatever career they choose, whether in the STEM fields or not. As the robotic rover methodically navigated a landscape of obstacles, it relied on its programming to perform any number of tasks, from extracting core samples to angling a solar array to crossing a crater. If the programming — honed over months of diligent trial and error — failed, so did the robot. That’s OK, though — this wasn’t a billion-dollar piece of outer-space equipment at stake, but a robot built from LEGO Mindstorm parts, and performing tasks on a colorful, space-themed table. 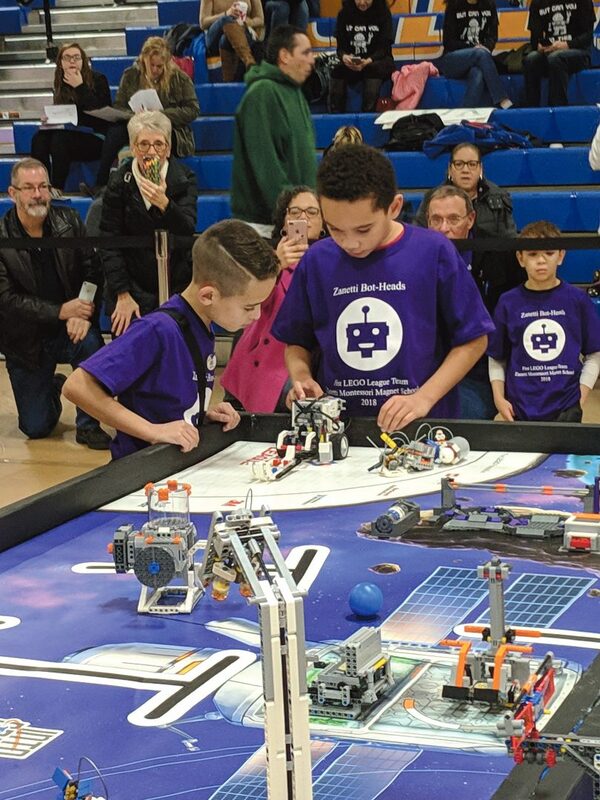 And these weren’t astronauts or NASA engineers performing experiments, but area elementary and middle-school students showing off their prowess at the recent FIRST LEGO League Into Orbit Challenge at Western New England University. Three dozen teams of students from Agawam, Brookfield, Chicopee, Greenfield, Holyoke, Longmeadow, Northampton, South Hadley, Springfield, West Springfield, Westhampton, and Wilbraham took part in the competition, reflecting a surge in growth for school-based robotics programs. 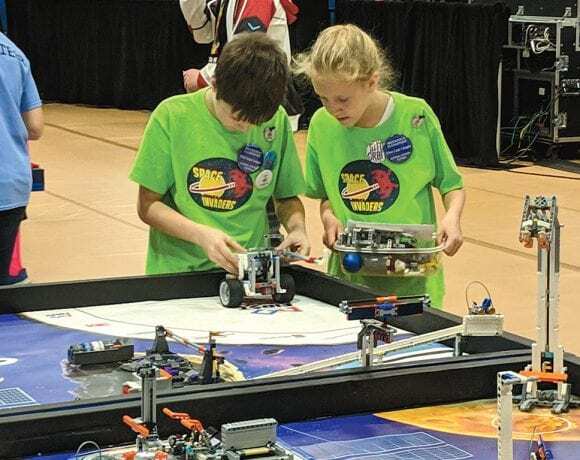 After competing head to head with each other, seven of those teams advanced to a statewide competition in Worcester a week later, and from there, the top teams moved on to championship events this spring. “It’s all about taking your classroom lessons — the math, the science — and applying them in a real-world situation,” said Dana Henry, a senior mentor for the regional FIRST (For Inspiration and Recognition of Science and Technology) program, who first connected students with robotics in Agawam 18 years ago. The FIRST LEGO League challenges kids to think like scientists and engineers. During this year’s space-themed season, teams choose real-world problems to solve and then build, test, and program an autonomous robot using LEGO Mindstorms technology to solve a set of missions. Last months’s event, the Agawam Qualifier, is in its 11th year, moving to WNEU this season after outgrowing its previous space at Agawam Junior High School, Henry noted. 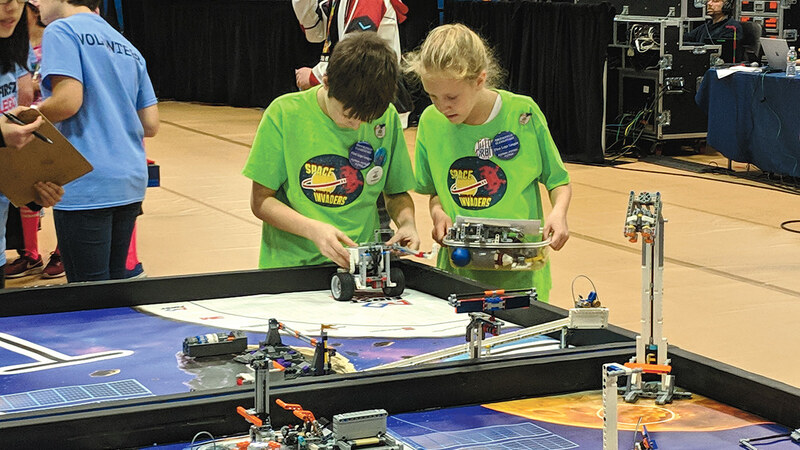 Dana Henry says FIRST LEGO League competitors are applying classroom lessons to real-world problems, and gaining a raft of skills while doing so. Suleyman Demirhan, a science teacher at Hampden Charter School of Science in Chicopee who oversees that school’s robotics club, explained that the faculty coach’s role is to teach students the basics of building and programming the robot — and researching issues as they arise — but it’s important for students to learn how to accomplish their goals with minimal hand-holding. “They learn a specific topic for their project, and how to design a robot and program it. The coach is there just to guide them, to provide the right materials and supplies for learning the robotics, and then we get to see their progress. We’re teaching them how to solve problems. It’s a learning process,” Demirhan said. The FIRST LEGO League, launched 20 years ago by inventor Dean Kamen and LEGO Group owner Kjeld Kirk Kristiansen, now boasts 320,000 participants and 40,000 teams in 98 countries. At the cornerstone of the program are a set of core values, through which participants learn that friendly competition and mutual gain are not separate goals, and that helping one another is the foundation of teamwork. According to the league website, those core values include discovery (exploring new skills and ideas), innovation (using creativity and persistence to solve problems), impact (applying what we learn to improve our world), inclusion (respecting each other and embracing our differences), teamwork (understanding that we are stronger when we work together), and fun (enjoying and celebrating what we do). The student-designed robots are all different, taking myriad approaches to tackling similar challenges. So the goal is more than learning robotics, engineering, and programming. But even the tasks themselves extend far beyond the robots. Each year, teams are mandated to research a real-world problem such as food safety, recycling, energy, etc., and then develop a solution. As part of this year’s Into Orbit theme, teams considered the challenges humans must overcome to travel around the solar system — such as extreme temperatures; lack of air, water, and food; waste disposal and recycling; loneliness and isolation; and the need for exercise — and research and present a project, not unlike at a science fair, that aims to solve one of those problems. “With this year’s theme, they designed a project that helps astronauts in space travel improve their physical conditions and mental health, or it could be anything that supports astronauts,” Demirhan said, noting that his school’s two teams took on the problems of growing food in space and designing an effective trash compactor. If the programming is off by the slightest margin, the robot will miss its target on the table — and miss out on critical points needed to post a high score and advance. For students inclined to this type of work, Henry said, it’s a fun way to learn to apply STEM (science, technology, engineering, and math) concepts while developing critical-thinking and team-building skills, and even soft skills like how to talk to the judges about their robots in an engaging way — yes, they’re judged on that, too. Through the FIRST LEGO League, Kamen and Kristiansen always intended for young people to discover the fun in science and technology but also develop in a positive way as people. Henry said he has seen exactly that. Other students in the program have gone on to non-science fields, like teaching, music, and the culinary arts, he continued, but the lessons they learned about solving problems and working with others are applicable to any field. For those who do aspire to a career in engineering or robotics, however, the FIRST program does offer a leg up, Demirhan said, both in the college-application process — schools consider this valuable experience — and gaining career skills at an earlier age than most future engineers do. In short, students are creating ideas, solving problems, and overcoming obstacles, all while gaining confidence in their abilities to positively use technology. To Henry, that’s an appealing mix. Tom Loper says the ‘supply chain’ project will benefit the region and its manufacturing sector while also giving cybersecurity students a leg up on jobs. A group of regional partners, led by Bay Path University, has been awarded a $250,000 grant from the Mass. Technology Collaborative for a pilot program that will address a host of identified issues — from a critical shortage of workers in the cybersecurity field to the need for smaller manufacturers to become more cyber secure if they are going to keep doing business with their customers in the defense, aerospace, and other sectors. The project’s name is long and quite cumbersome. Yes, that’s really what it’s called. And while that’s a mouthful — not that anyone actually recites the whole thing anyway — it really does capture the essence of an ambitious initiative spearheaded by Bay Path University and its emerging cybersecurity programs, and also involving Springfield Technical Community College, Paragus Strategic IT, the Economic Development Council of Western Mass. (EDC), and other area partners. Breaking down that long title into its component parts certainly helps to tell the story behind the $250,000 grant awarded recently by the Mass. Technology Collaborative. The program, set to commence early next year, will indeed engage students in Bay Path’s cybersecurity programs in internships with smaller supply chain companies across the region. They will be working with employees at Paragus to undertake cybersecurity assessments of these small manufacturing firms, essentially identifying holes where intruders can penetrate and possible methods for closing them. And the program will provide needed experience that is difficult for such students to attain, but very necessary for them to land jobs in the field. And it will put more workers in the cybersecurity pipeline at a time when there is a considerable gap between the number that are available and the number that are needed — a gap approaching 9,000 specialists in this state alone. And it will bring more women into a field that has historically been dominated by men and is struggling desperately to achieve diversity. Which helps explain why the Mass. Technology Collaborative, which was planning to divide $250,000 among several entities, gave that entire amount to Bay Path’s proposal and then found another $135,000 to award to two other projects, said Tom Loper, associate provost and dean of the School of Arts, Sciences and Management at Bay Path, who started with the small supply-chain companies, as he explained the project’s importance. “These companies have a cyber vulnerability, in many cases, because they don’t have sophisticated systems and they don’t have sophisticated staff that can help create a cyber-safe environment,” he noted, adding that he took what he called a “Western Mass. approach” to the process of applying for the grant. By that, he meant a focus on smaller businesses, as opposed to the larger defense contractors like Raytheon in the eastern part of the state, and also on schools like Bay Path (and its online component, The American Women’s College) and STCC that are graduating cybersecurity students but struggling to find them real-world experience to complement what they learn in the classroom. Matthew Smith says that among the many potential benefits from the ‘supply chain’ project is much-needed gender diversity in the cybersecurity field. Thus, the project is a potential win-win-win, with maybe a few more wins in there as well, said Rick Sullivan, president & CEO of the EDC, noting that winners include the individual students at Bay Path, the emerging cybersecurity industry, individual small manufacturing companies, and the region as a whole, which counts its precision manufacturing sector as a still-vital source of jobs and prestige. Overall, the pilot program is a decidedly proactive initiative aimed at helping these smaller companies become aware of the requirements they will have to meet to keep doing business in such fields as defense and aerospace, and then help them meet those thresholds, starting with an assessment of their cybersecurity systems and immediate threats. For this issue and its focus on technology, BusinessWest takes an in-depth look at the Bay Path-led project, its many goals, and how, if all goes as planned, it will close gaps in cybersecurity systems as well as gaps in that sector’s workforce, while also making the region’s manufacturing sector stronger and more resilient. The project summary for the Bay Path initiative, as authored by Loper and others, does a very effective job of summing up both the many types of problems facing the state and its business community with regards to cybersecurity, and also how this pilot program will address several of the key concerns. “Entry-level job postings for information security analysts and related cybersecurity positions typically require one to two years of experience in the field, making it challenging for recent college graduates with cybersecurity degrees to fill these positions,” the summary begins. “Bay Path University, a women’s university in Western Mass., will lead a project that will engage 30 undergraduate and graduate cybersecurity students, primarily women, in a full year of challenging experiences as paid interns on cybersecurity auditing teams. Like we said, that pretty much sums it all up — at least from the student intern side of the equation. 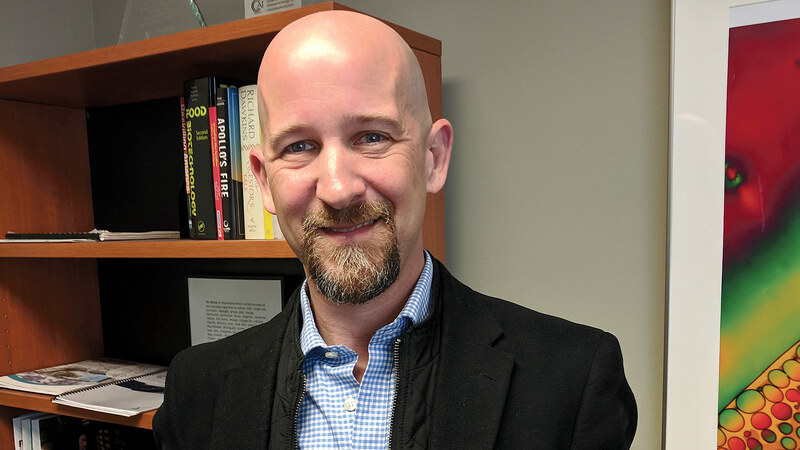 In addition to classroom learning, experience in the field is necessary to break into the cybersecurity sector, said Loper, and such experience is difficult to attain. This pilot program will help several dozen students get it. Meanwhile, the program will address the other side of the equation, the needs of small manufacturers in the supply chain — and this region has dozens, if not hundreds of them, who face many challenges in their quest to become safe (or at least much safer) from security breaches, a pre-requisite for being able to do business these days. Elaborating, Loper said the cost of a cybersecurity assessment (that term is preferred over ‘audit,’ is approximately $1,500, an amount that challenges many smaller companies and is the primary reason why relatively few are done. 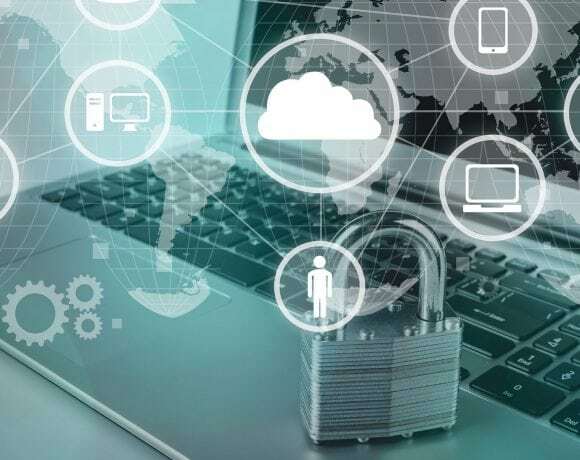 The pilot program will pay roughly two-thirds the total cost of an assessment, thus bringing assessments within the reach of more companies, which need to ramp up their cybersecurity systems and methods if they are going to keep doing business with most of their clients. Sullivan said the EDC and other agencies will work to build awareness of this program and sign on participants. There has already been interest expressed by many of these smaller manufacturers, and he expects it will only grow as awareness of the project — as well as the need to be cyber secure — grows. For the record, and as noted earlier, the Mass. Technology Collaborative came up with another $135,000 to award for other pilot projects to help prepare entry-level cybersecurity job seekers to both meet the needs of employers, and address the growing cybersecurity job crisis. The first, a $61,178 grant, involves an entity called STEMatch, which proposed a creative collaboration between community colleges, Massachusetts-based cybersecurity service and technology providers, and end-user businesses to expand the pool of potential cybersecurity to under-represented groups and displaced workers. The other, a $74,690 award, was given to the MassHire Greater New Bedford Workforce Board to advance a public-private partnership between the regional workforce boards of Southeastern Massachusetts, Bristol Community College, and the South Coast Chamber of Commerce, and employers in that region. The pilot is designed to help address the lack of skills and work experiences affecting Massachusetts employers and will utilize best practices developed in Israel to create training and work experiences for students in grades 10-12. Those projects, as well as the Bay Path initiative, drive home the fact that there is not just a gap, but a real crisis when it comes to filling jobs in this emerging and now all-important sector. “Companies are craving talent,” said Matthew Smith, director of Computer Science & Cyber Security Programs at Bay Path and assistant professor of Computer Science & Cyber Security in the School of Science and Management, as he attempted to qualify a problem that’s difficult to quantify. That’s because while there are posted positions within this sector — many of them lacking candidates — many of the jobs are not posted, increasing the size of the gap. Closing it requires not merely people with degrees in Cybersecurity, although that’s essentially a pre-requisite, said Smith, but individuals with what could be called real-world experience on their resumes, he said. The pilot program will allow students at Bay Path and STCC to put five cybersecurity assessments on their portfolio, which should certainly help open some doors for them. This marketability should only help further develop the graduate and undergraduate cybersecurity programs at Bay Path (both traditional and online) that are already seeing explosive growth, said Smith, adding that the industry needs not only workers, but gender diversity as well. As noted earlier, the name on this project is long and cumbersome. But it breaks the problem and one possible solution into one highly efficient and effective phrase. The pilot program will set a high bar when it comes to potential outcomes and goals for achieving progress with the many significant challenges facing the cybersecurity sector and the cyber safety of individual companies. But a high bar is necessary because the problems are real, they are growing, and solutions are needed. This program was conceived to not only help this region clear that bar, but provide a roadmap for other regions to follow. If it can do all that, the state’s sizable investment will yield huge dividends. Today’s smartphone apps are countless, with uses ranging from entertainment to enrichment. In the latter category, apps help users manage their personal finance, improve their fitness, and give their brains a workout. With that in mind, here are some of the more popular and well-reviewed apps available today. It’s hard to imagine, but there was a time when everyone couldn’t access virtually all the world’s information in their hand at a moment’s notice. 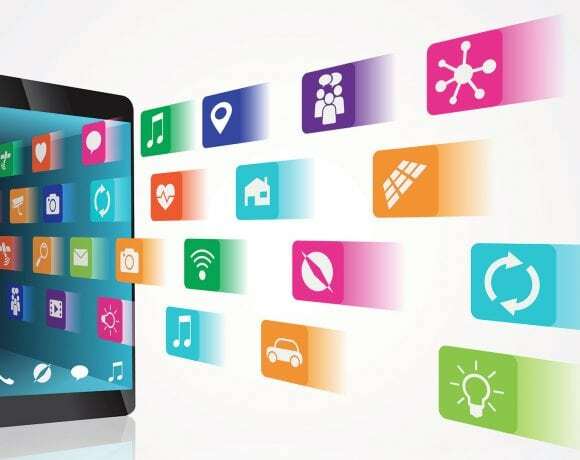 Besides the accumulated knowledge available on a smartphone, myriad apps are available to help users with a wide range of tasks, from managing their finances to tracking their fitness goals to getting an education in various topics. 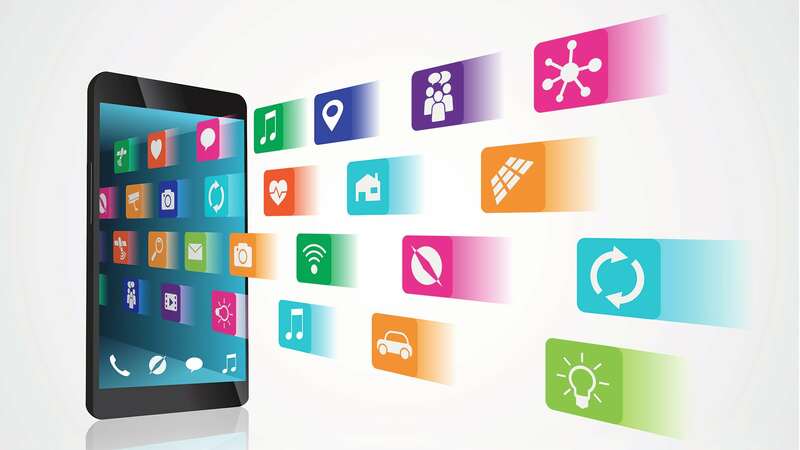 For this year’s roundup of what’s hot in technology, BusinessWest checks in on what the tech press is saying about some of the most popular smartphone apps. Smartphones have put a world of personal finance in people’s hands. For example, Intuit’s Mint gives users a real-time look into all their finances, from bank accounts and credit cards to student loans and 401(k) accounts. The budgeting app has attracted more than 20 million users, and it’s easy to see why, says NerdWallet, which identifies the popular service as one of the best budgeting and saving tools available. 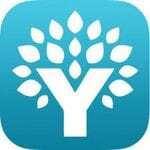 As its name notes, You Need a Budget, or YNAB, “makes no bones about the fact you need to manage your money rather than the other way around,” according to PC World, noting that the popular program, which started life more than a decade ago as manual-input desktop software, is now a subscription-based web app that can sync with users’ financial accounts. 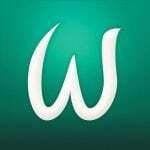 For people who find it difficult to track their expenses while trying to reach their savings goals, Wally might be able to help, by giving users a total view of their finances. 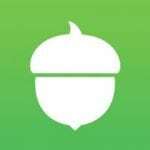 Finally, Acorns is modernizing the old-school practice of saving loose change, rounding up the user’s purchases on linked credit or debit cards, then sweeping the change into a computer-managed investment portfolio. What if physical wellness tops one’s priority list? No fear — there are countless apps for that, too, providing users with information on what they’re eating, how to exercise, and how to stay committed to better habits. 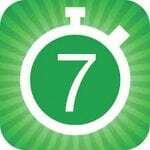 Seven-minute workout challenges have become popular for their ease of use, and the 7 Minute Fitness Challenge app is among the more popular apps promoting this activity. 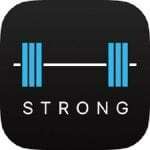 Strong offers many features found in scores of other apps — creating custom routines, logging workouts, and tracking weight over time — but does some things that are particularly useful, according to the Verge. What about emotional wellness? There are plenty of meditation apps available for that. 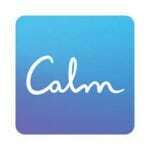 For example, “the moment you open the Calm app, you might feel a sense of … calm. Relaxing sounds of falling rain play automatically in the background, but you could also opt to be greeted by a crackling fireplace, crickets, or something called ‘celestial white noise,’” according to Mindful. Countless popular apps focus on education and learning for all ages. For kids, the Children’s MD blog recommends Khan Academy, which collaborates with the U.S. Department of Education and myriad public and private educational institutions to provide a free, world-class education for anyone. 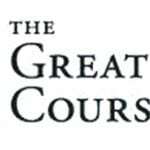 For older students and adults, The Great Courses is one of the more venerable services out there, created by the Teaching Company during the 1990s with the goal of gathering educational lectures on a video format. In short, whatever you’re looking to improve in your life, as the famous ad slogan notes, there’s an app for that. Brett Normandeau says hot communication technologies like business texting are providing new opportunities for his nearly 30-year-old company. 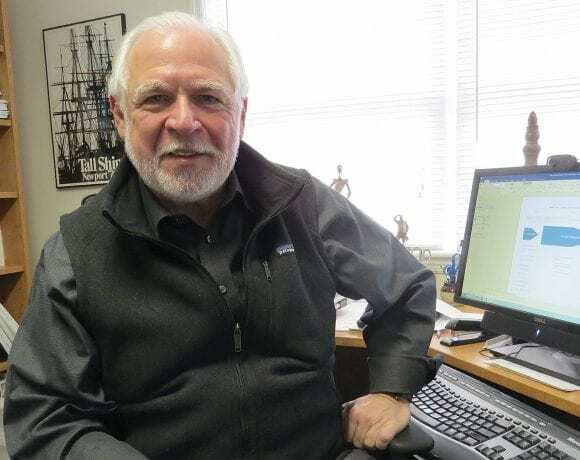 Brett Normandeau recalls the early days of the company his father started 28 years ago, when installing telephone systems was simpler, and even voice mail seemed revolutionary. Those days are long gone, and companies, like NTI, that succeed in the world of business communication are navigating some fast-moving waters. But they’re also making work easier and less expensive for their clients, and those are goals that never go out of style. 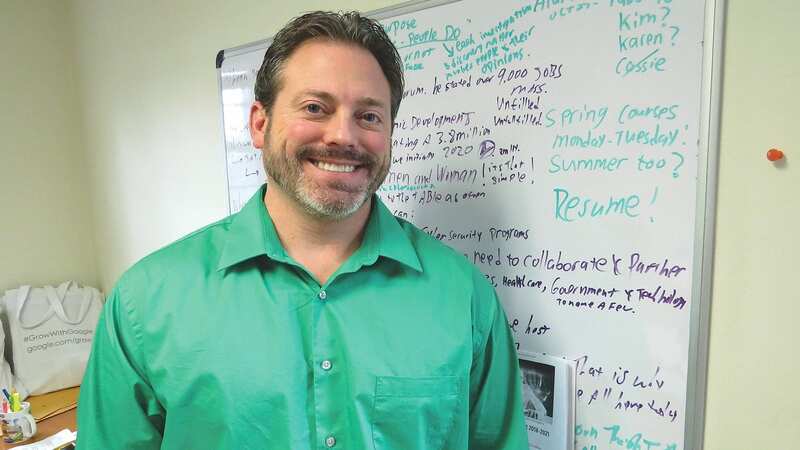 After eight years in its headquarters on Riverdale Street in West Springfield, Brett Normandeau said he’s looking to move into a smaller space. 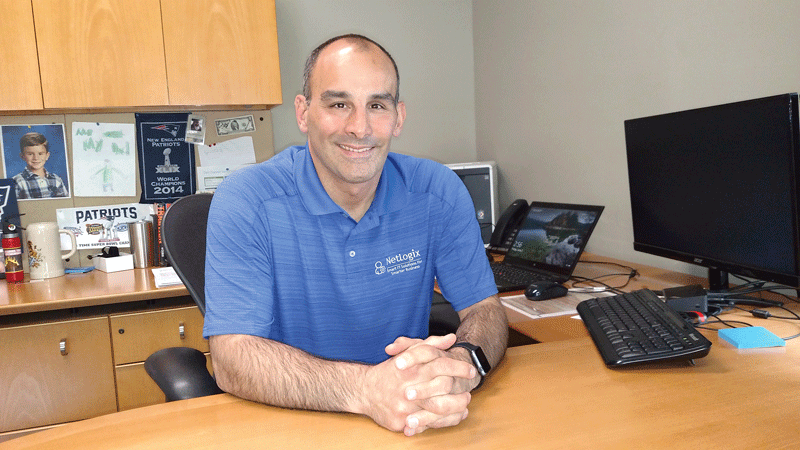 Simply put, while his company, Normandeau Technologies Inc. (NTI), is growing — to seven employees at present, after three recent hires — his space needs are shrinking, since technicians are performing more work remotely than ever before. It’s one example of how NTI reflects the very business trends that impact the services it provides to customers. The company has been been selling, installing, and servicing telephone systems for 28 years, with voice over Internet protocol (VoIP) technology — which uses the Internet to exchange various forms of communication that have traditionally been carried over land lines — serving as its main service focus over the past decade-plus. It’s a technology that allows businesses to stay connected even when employees are far-flung — whether they’re working from home or in an office across the country. Smartphones, however, are changing the game when it comes to phone systems, and newer developments like business texting and mass notification services — two niches Normandeau is particularly excited about — again evolving the way employers and employees communicate. Kevin Hart is excited too — enough to return last year to the company he worked for many years ago, this time as director of business development. So, while the company continues to make a name for itself in the fields of IP telephony, IP surveillance, data cabling, and cloud services, newer technologies continually shake up the game and provide plenty of opportunity for growth. While traditional phone systems are slowly changing over to cloud-based systems, plenty of companies are still behind the curve, he added, noting that such systems offer more integration, functionality, and control — and lower costs — than ever before. In short, it’s a good time to be in this business. 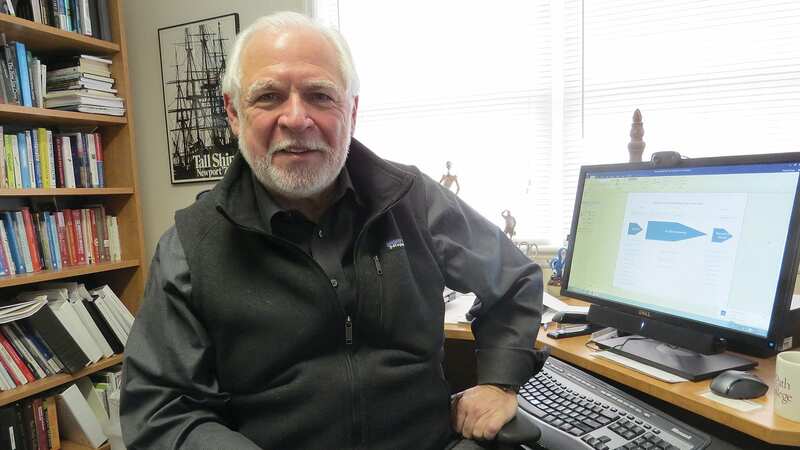 At its heart, Normandeau communications has been trading in phone systems since Ray Normandeau launched the enterprise in Florence in 1990, using money from an early-retirement package offered by a streamlining AT&T. As Ray built his business on word of mouth and a few loyal customers, his son Brett started working alongside his father, having been licensed as an electrical journeyman shortly before Ray launched the company. He took over as president when his father retired about 16 years ago. At the start, clients were mainly residential, but gradually, the emphasis turned to business customers, which today comprise the vast majority of the client base. NTI’s featured partners include LG-Ericsson, whose iPECS-LIK product further streamlines communication within any size business, from small offices to large corporations with thousands of users, managing all kinds of communication — phone calls, e-mails, texts, etc. — across multiple sites, under a single user interface. It’s a useful product for multi-site organizations, such as banks and their multiple branches. 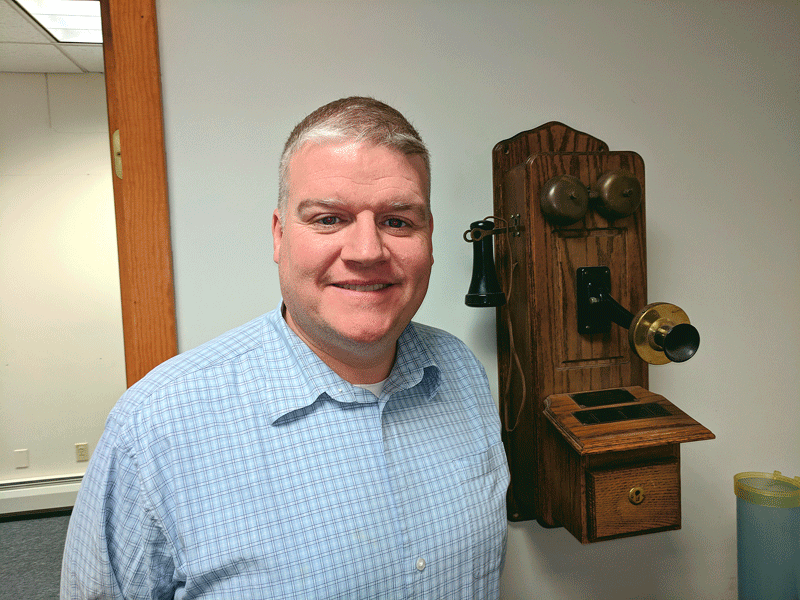 Kevin Hart, standing in front of a phone from a different era, says customer expectations have evolved along with the technology. Hart said businesses are starting to turn away from internal server networks that need occasional upgrading or replacing. On the business-texting front, Normandeau uses a platform called Captivated. On one side, a company’s contacts text it on a landline or published text number the business promotes. On the other side, a text comes into Captivated and the company handles it or easily transfers it to the right department or individual. The benefit, Normandeau said, is that people don’t answer phone calls as often as they used to, particularly from numbers they don’t recognize, scared off by the proliferation of robocalls — but they will look at texts, especially if the sender’s number is familiar. In addition, service providers in all kinds of industries can use the system to reach customers if they’re running late for an appointment, while an auto mechanic working on a vehicle who sees additional problems can quickly get in touch with the customer and start working on the second problem — all of this, again, predicated on people being more likely to respond to texts than calls. “It’s a huge scheduling convenience,” Normandeau said. In addition, all texts are centralized and saved in the cloud, providing a permanent record that isn’t available when technicians use their personal cell phones to contact customers. In the realm of mass notification — a related but different technology than regular business texting — Normandeau uses the StaffAlerter platform, which was originally developed originally for the K-12 market, for campus security and other reasons. It uses templates by which messages can be sent out quickly to an entire subscriber list with the touch of a button. 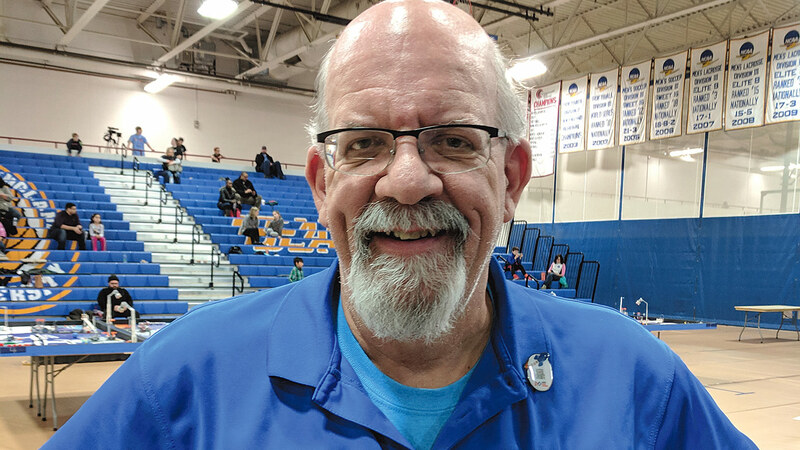 “In an emergency, a schook teacher can automatically send an alert, a mass notification to all staff, that can also tie into their paging system throughout the school, so teachers can lock down the classrooms,” he explained. Staff growth at NTI includes its new operations manager, Lindsey McGrath, who has 20 years of experience on the carrier side of the business, and Russell Diederich, a technician who spent 30 years at Verizon. Those are the moves a company that knows it has opportunities to grow, Hart said. That said, he added, there are plenty of opportunities for companies to streamline their communications and save money if they’re willing to look into them. Especially companies like NTI itself, which is scaling up its staff while downsizing its space because working remotely is the wave of the future. That said, NTI isn’t resting on its laurels, Normandeau said, noting that he takes part in IT networks and conferences with an eye on the next big thing in communications. “I’m going to the IT Expo in Florida next month to check out the latest and greatest,” he said — and bring that knowledge back to a company that has evolved significantly since the days when voice mail was all the rage. An on-the-go society demands on-the-go technology, and the array of smartphones, tablets, wristband health sensors, and portable game systems only continues to expand as the major players compete for their share of a growing pie. In its annual look at some of the hottest tech items available, BusinessWest focuses on those mobile devices, which are connecting more Americans than ever, 24/7, to bottomless online resources and, sometimes, to each other. If it seems like everyone’s on their smartphone these days, well, that’s a bit of an exaggeration. According to a Pew Research Center survey conducted last November, 77% of Americans (77%) now own a smartphone, with lower-income Americans and those ages 50 and older exhibiting a sharp uptick in ownership over the previous year. Among younger adults, ages 18 to 29, the figure soars to 92%. The 2017 results won’t be available until later this year, though the percentage is expected to rise even higher, because, well, it’s been on an upward trend since 2011, when Pew first started conducting these surveys. That year, just 35% of Americans reported they owned a smartphone of some kind. These numbers don’t include plain old cellphones (remember when they seemed like the pinnacle of communications technology?). If those devices are included, 95% of Americans can reach in their pocket to make a call. But BusinessWest’s annual rundown of the hottest technology — which, this year, focuses on mobile devices — isn’t interested in what was hot a decade ago. Following are some the most buzzworthy new smartphones, tablets, wearable fitness devices, and handheld game consoles, according to tech media. We’ll start, as many lists do this season, with the Samsung Galaxy S8 ($749), which Gareth Beavis at Techradar calls “the best phone in the world for a few reasons, but none more so than the display: it makes every other handset on the market look positively antiquated. One of the hottest trends of the past few years has been a shift to ‘phablets,’ smartphones that boast a much larger screen size than their predecessors. The Google Pixel 2 XL ($849) “improves on the first in lots of ways, but mostly it just looks a whole heap better,” writes Max Parker at Trusted Reviews, praising the device’s modern display and large size in a package that fits the hand well. Apple continues to be a key player in this realm, too, of course, and while the iPhone 8 Plus ($799) isn’t a big change over last year’s model, it boasts some substantial advantages, notes Mark Spoonauer at Tom’s Guide, and may turn out to be the equal of the iPhone X, to be released in early November. For those who prefer full-size tablets, competition continues to be fierce in that realm, with Apple again drawing headlines with the iPad Pro ($599). Meanwhile, for those on a budget, the Amazon Fire HD 8 ($79) is the best sub-$100 tablet available, according to Sascha Regan at PC Magazine. 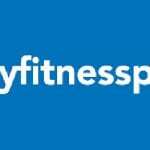 Wearable technology, which focuses on tracking health and wellness habits, continues to be popular, although Fitbit, far and away the dominant player in this market, may be reaching saturation in the U.S., while smaller competitors eat away at its global market share, according to International Data Corp. Looking over the rest of the field, Marko Maslakovic at Gadgets & Wearables finds plenty to like about the Garmin Vivosport ($199), which is waterproof, comes with built-in GPS and all-day stress tracking, and counts reps and sets in the gym. For technology enthusiasts whose tastes favor gaming on the run over, well, running, the portable-console market continues to thrive, with the longtime market leader making some new waves this year with the Nintendo Switch ($299). The publication also praises its graphics and controllers, but notes that it can be hard to find, lacks long battery life, plays poorly in direct sunlight due to screen glare, and doesn’t boast a wide variety of popular games — yet. 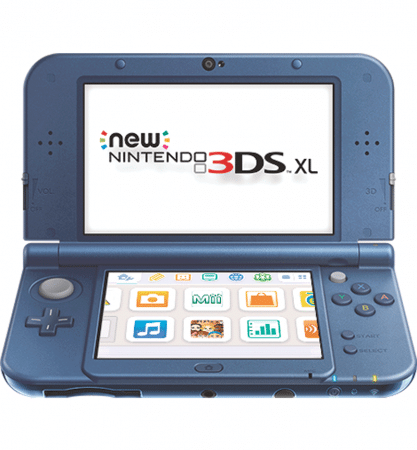 Game variety is no issue for the Nintendo 3DS XL ($199), which boasts two large screens, glasses-free 3D, and some of the best video games available on a mobile console, according to Top Ten Reviews. On the downside, battery life is not ideal. 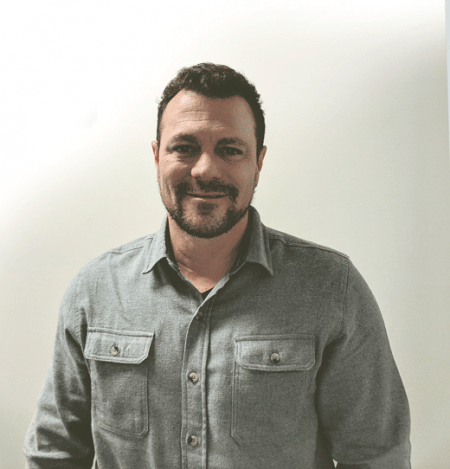 Information-technology solutions providers can easily get lost in a maze of technical jargon, but that’s the last thing Marco Liquori wants to throw at customers. 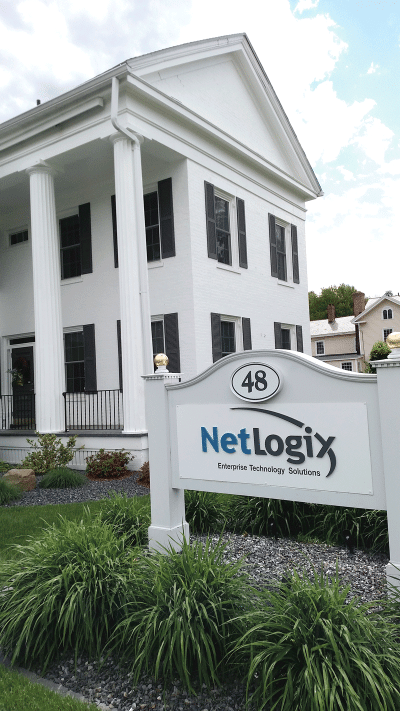 Instead, the technicians at his 13-year-old company, NetLogix, are trained to communicate clearly with clients about their network needs — and then meet those needs, in the background, so businesses can focus on growth, not computer issues. A recent customer-satisfaction report suggests the Westfield-based firm is doing something right. When Marco Liquori talks about how his IT company, NetLogix, sets itself apart, he doesn’t go right into technical jargon. In fact, he tries to avoid it. That’s actually one of the points on a list he’s prepared called “10 Things We Do Better.” Some of them — delving into areas like network security, budgeting for IT services, and the difference between proactive maintenance and reactive response — get into the nitty-gritty of NetLogix’s services, but many are common-sense goals that wouldn’t be out of place in companies in myriad industries. Take phone calls, for instance. “We answer our phones live and respond quickly,” he said, noting that callers will always get a human being, not a recording or voice mail, and those calls are followed up by a technician within the hour — actually, the average is 12 minutes. Those touches are part of the reason why a third-party monitoring system, SmileBack, which tracks customer satisfaction for companies, reported that NetLogix scored a 99.4% favorable rating from clients in 2016 — the highest customer-satisfaction score it recorded last year. Of course, part of achieving high satisfaction scores is actually getting the job done, and this is where a shift in the company’s strategy several years ago has paid dividends and grown the Westfield-based firm — which Liquori describes as a network-management, cloud, and systems-technology integrator providing end-to-end solutions for clients — to a 12-employee operation, and why his plans to keep expanding the company look promising indeed. Liquori had worked for several other computer and IT companies — “value-added resellers was what we called them back in the day” — but business wasn’t great in the years following the dot-com bust. In 2004, the firm he was working for decided to take his business in a different direction, focusing more on application development. In the transition, Liquori decided to set out on his own — even in that tough economic climate. 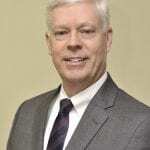 During that time, he was developing a book of business focusing on a handful of industries in which NetLogix still specializes today, including insurance agencies, law firms, medical and dental practices, and professional services like accounting firms. But the business model needed tweaking. That encompases everything from preventing cyberattacks and monitoring for malicious activity to installing Windows and third-party application updates to managing firewalls and developing disaster-recovery strategies. That’s an advantage over many companies that hold fast to a more reactive model, he said, adding that clients like knowing exactly what they’ll be spending — no surprises — and can focus their energies outside the IT realm, on growing the core functions of their business. In fact, the fixed price, all-inclusive support plan includes a commitment to resolve any issues that arise in an expeditious manner. Since everything is included in one price, Liquori explained, NetLogix is highly motivated to use its time wisely and bring each situation to a successful completion — and clients aren’t nickel-and-dimed just at the time they need the most help. “Our goal is to resolve issues as quickly as possible, and make sure their computers are back up fully and functioning normally as soon as possible,” he said. But he kept coming back to the firm’s security-first approach. NetLogix’s first task is to evaluate a client’s network and explain any potential risks and exposures, and recommend adjustments to protect the network and client data — which is of massive importance for companies that store patient records or financial information, for example. “With our full suite of multi-layered security in place, none of our clients were affected by the WannaCry ransomware attack — or any other ransomware,” Liquori said, referring to last month’s worldwide attack targeting computers running the Microsoft Windows operating system, encrypting data and demanding ransom payments to free it. Within a day of the attack, more than 230,000 computers in 150 countries were affected. At the heart of NetLogix’s services, though, is its strategic IT planning. Liquori said he considers himself a strategic partner with clients, listening first and offering solutions second. Liquori said he’s certainly looking to grow beyond 12 employees, and geography isn’t the barrier it used to be in the IT world. “Most of what we do is remote, so we can work in almost any geographic area,” he explained, adding that the firm covers most of the Northeast. But face time is important, too. And sleep better at night. Three UMass Amherst campus research initiatives are among nine projects across the five-campus system that are sharing $735,000 in grants from the President’s Science & Technology (S&T) Initiatives Fund. Announced by UMass President Marty Meehan, the projects showcase a range of cutting-edge faculty research being conducted across the UMass system, from enhancing clean-energy technologies to developing materials that can autonomously release drugs and precisely target tumors. • The Center for Autonomous Chemistry, an initiative with UMass Lowell and UMass Medical School, and led by chemistry professor S. Thayumanvanan. The project will develop the molecular design fundamentals for autonomous chemical systems, inspired by the immune system. Fully developed, this will form the basis to develop materials that can autonomously release drugs in response to a specific trigger and precisely target tumors. The grant of $140,000 will be used to facilitate one or more proposed projects to federal research agencies. • The UMass Unmanned Aerial System Research and Education Collaborative (UASREC), led by Michael Knodler of the UMass Transportation Center. A collaboration with UMass Dartmouth, UASREC is established to advance unmanned aerial systems, also known as drones, to advance interdisciplinary and collaborative research and education. With research already funded through the state Department of Transportation, $100,000 in S&T funds will help position UASREC to become the New England Transportation Center and develop other proposals to federal funding agencies. 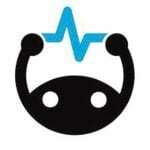 • The Center for Smart and Connected Society (CS2), a project with UMass Medical School, is being led by Prashant Shenoy in Computer Science at UMass Amherst and David McManus in Cardiovascular Medicine at UMass Medical Center. The project, as part of the creation of the new interdisciplinary CS2, will focus on the advancement and application of smart and connected technologies. The smart-application domains include smart health and smart living, smart buildings and energy, smart and autonomous vehicles, and smart agriculture. The one-year, $25,000 S&T grant will advance the planning for CS2 and coordination with the medical school’s Center for Data Driven Discovery and HealthCare, which also received an S&T award. Amherst campus researchers are also involved in another of the funded projects, the UMass MOVEment Research Center, which will explore the mechanics of movement and muscle function. Led by Matthew Gage of the UMass Lowell Chemistry department, the researchers will use the $25,000 grant to plan for a UMass system-wide research center for movement mechanics, focused on understanding movement in the aging population. Faculty from Lowell, Amherst, and the medical school will explore how to combine existing research strengths at all three campuses into a comprehensive program designed to approach research questions in the biomechanics of aging from a molecular to an organismal level. Now in its 14th year, the S&T fund accelerates research activity across all five campuses, drives partnerships with state industry, and positions researchers to attract larger investments from external sources to expand the scope of their projects. Since 2004, the fund has awarded nearly $12 million to faculty, helping to generate additional funding of more than $240 million in areas such as medical devices, nano-manufacturing, clinical and translational science, bio-manufacturing, data science, robotics, and personalized cancer therapy. S&T awards have also helped to establish important research and development centers across the state, including the Center for Hierarchical Nanomanufacturing at UMass Amherst, the Center for Personalized Cancer Therapy at UMass Boston, the Center for Scientific Computing and Data Visualization Research at UMass Dartmouth, the Massachusetts Medical Device Development Center and New England Robotics and Validation & Experimentation Center at UMass Lowell, and the UMass Center for Clinical and Translational Science at UMass Medical Center. Dr. Glen Brooks demonstrates how patients can adjust specifications on a screen before viewing themselves with virtual-reality goggles. Dr. Glen Brooks, who runs a cosmetic-surgery practice in Longmeadow, says he was initially “awed” by a virtual-reality device that allows breast-surgery patients, using 3D goggles, to view their own post-surgery bodies — before the actual surgery — in a virtual-reality space. He says Crixalix, as the technology is known, has helped ease patients’ anxieties, while assuring him they’re getting exactly what they want. Dr. Glen Brooks understands that preparing for cosmetic surgery can be an anxious time, especially for women unsure of what the end result will look like. Take breast augmentation, for example. “The biggest fear of the patient is that she’s going too big. But the biggest fear of the doctor is that I have to reoperate because she’s gone too small,” Brooks said, explaining that, while the fear of choosing too large an implant is a common concern, the patient typically discovers she had nothing to worry about. If only there were a way for a woman to see the end result, on her own body, before the surgery. 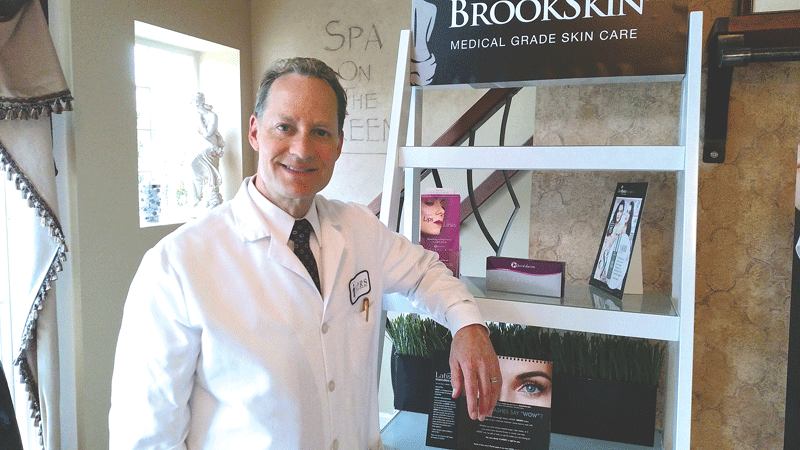 Five months ago, Brooks, who owns Aesthetic Plastic & Reconstructive Surgery, P.C. in Longmeadow, started using Crisalix, a virtual-reality technology developed in Switzerland that allows patients, using 3D goggles, to view their own bodies — not just on a screen, but in a virtual space, as if they were looking down at themselves — exactly how they will look after the breast surgery. Indeed, Crisalix markets itself as a way for doctors and patients to answer the common question, ‘how might I look after the procedure?’ The goal is to increase patient satisfaction and decrease anxiety, both during the consultation and post surgery. Crisalix markets itself as a leader in web-based, three-dimensional, virtual-reality simulations for plastic surgery and aesthetic procedures. The company is a spin-off from the Swiss Federal Institute of Technology, a fast-growing life-science cluster, and the Institute of Surgical Technology and Biomechanics at the University of Bern. But first, the patient sees herself on a screen. Brooks scans her chest and uploads the image to a tablet, where he can help the woman decide on which implant manufacturer to use and which volume and shape to use. They can test out myriad options on the screen, rotating the image to see the change from multiple perspectives. When both doctor and patient are comfortable with a particular option, the patient dons goggles and enters a 3D, virtual-reality world where she can view herself with the new breast size and shape, and either approve the specifications or go back to the tablet for something else. Brooks told BusinessWest that breast augmentation, reduction, and reconstruction — Crisalix is effective on all three — are more science than art, a matter of delivering precisely what the patient is asking for. What the VR technology does is help the patient clearly communicate that decision. “The patient predetermines beforehand what volume they want to have — ‘this is what I am, and this is what I want to be,’” he noted. “It’s a very different type of technological advance because so much of the surgery is objective, but showing patients their size in advance in this way is more powerful than a verbal discussion. The reasons women ask for augmentations varies greatly, Brooks said, but there are a few common categories: early-20-somethings whose breasts are mismatched in size; women in their late 30s or early 40s who want a “mommy makeover,” feeling they’ve lose some volume and gained some sag after having kids; and women of any age who feel more attractive or confident with a different look, to name a few. “This gives them a really great education in what I need to correct,” he said, adding that the technology is just as effective with reconstructions, typically after mastectomies with cancer patients, in that it can formulate a completely symmetrical look to the patient’s specifications. According to data from the American Cancer Society, breast cancer is the most common cancer among U.S. women after skin cancer, representing nearly one in three cases. Furthermore, the ACS notes, seven out of 10 women diagnosed with breast cancer who are candidates for breast reconstruction are not aware of their options. As a result, fewer than one in five American women who undergo a mastectomy go on to have breast reconstruction. Crisalix is only the latest option to reach that goal, and Brooks said patients have been pleasantly surprised at what the virtual images tell them. The technology to convert 2D images to 3D virtual reality is currently being used on five continents. Dr. Glen Brooks says he was “awed” the first time he used the Crisalix technology. And it’s far from the only potential use of VR in the surgical world. The Wall Street Journal recently reported on others, such as GE’s early-stage testing of technology that will allow a doctor wearing a Rift headset to take a virtual tour of a patient’s brain and perhaps determine how surgery might affect various parts of it, and pediatric surgeons at Stanford University Medical Center who have used a virtual-reality platform from EchoPixel, a California startup, to plan surgeries on newborns missing pulmonary arteries. Another promising use of VR may be in medical training, as universities that can’t afford to store cadavers for education may be able to rely on virtual reality instead. Even in cosmetic surgery, Crisalix isn’t limited to breast surgeries; the company also touts its use for eyelids, faces, and other body parts, though Brooks says the impact on patients’ expectations isn’t as dramatic.